The purpose of a login process is to identify a particular individual and validate their identity before granting them access to an application. It's critical that the process only allows the owner of an account to login, and it must prevent an attacker from logging in as another user. This post discusses one aspect of protecting authentication processes: using an account lockout response. And, it specifically focuses on decreasing the frustration users experience as a result of that control. An account lockout response is a security control developers apply to all of the application's authentication processes to limit the number of times an individual can enter the wrong credentials consecutively. For example, if an attacker incorrectly guesses another user's password five times in a row, the application will disable the user's account and notify the user by email. Organizations must choose an appropriate lockout threshold and choose how accounts are unlocked. When should an organization use an account lockout response? That's difficult to answer unless a company is compelled to implement the control due to a regulation or compliance requirement. The development team, security team, and marketing or user experience groups really need to discuss the pros and cons of such a process. On one hand, the application will have significantly more resistance to password guessing attacks, protecting users' accounts from being compromised. On the other hand, it may frustrate users, raise customer support costs, or even drive customers away from using the application. If an account lockout response is implemented (which Security PS generally encourages), it must be carefully designed to increase user acceptance. 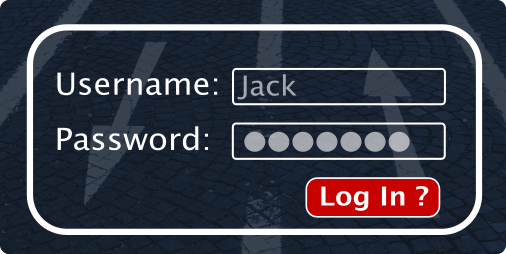 One of the frustrations users experience related to account lockout responses is that they may not know their password (or sometimes their username) and they lockout their account accidentally. On top of that, the user doesn't know their account is locked out. This occurs because the application cannot display notifications on the login page that the account is locked out. If it did, the process would inform an attacker that a particular username is valid resulting in a username harvesting vulnerability. This is one of the key challenges to solve in order to increase user acceptance of the account lockout response control. To address the notification challenge, Security PS recommends several user experience improvements that don't expose the application to additional risk. First, the application can email the user when a failed login attempt occurs. Additionally, if the account is locked out, the application can immediately email the user instructions for unlocking the account. These notifications do not cause username harvesting vulnerabilities, because only the account owner will receive those email notifications not the attacker. Email notifications are helpful, but what if the user doesn't check their email while using the application? They can still get frustrated easily. So, developers should consider sending SMS notifications when a user's account is locked out or potentially before the lockout occurs. The message can be short, direct, and can point the user to their emailed instructions for unlocking their account or resetting their password. The hope is that the user receives this notification before getting frustrated that they can't login. Finally, the messaging in the application itself can remind users that a lockout response is present and that they can check their email if they believe their account is locked out. This messaging can be displayed all the time or after a specific number of failed attempts per session. Key here is that this is not a specific number of failed attempts per username or account, but per session. Otherwise, username harvesting vulnerabilities are introduced. Authentication processes, especially complex, multi-step, multi-credential authentication processes are difficult to get correct. It's easy to introduce vulnerabilities in the user creation/registration step, forgot username/password step, and login process itself. If you are in the process of designing an authentication process, whether it's using an OAuth2, OpenID Connect, or custom forms based authentication, contact Security PS to have a partner come along side you and help ensure the design and implementation are secure.